Chrome feature arm for Slatwall Panels. 280mm long manufactured from durable chrome plated steel. 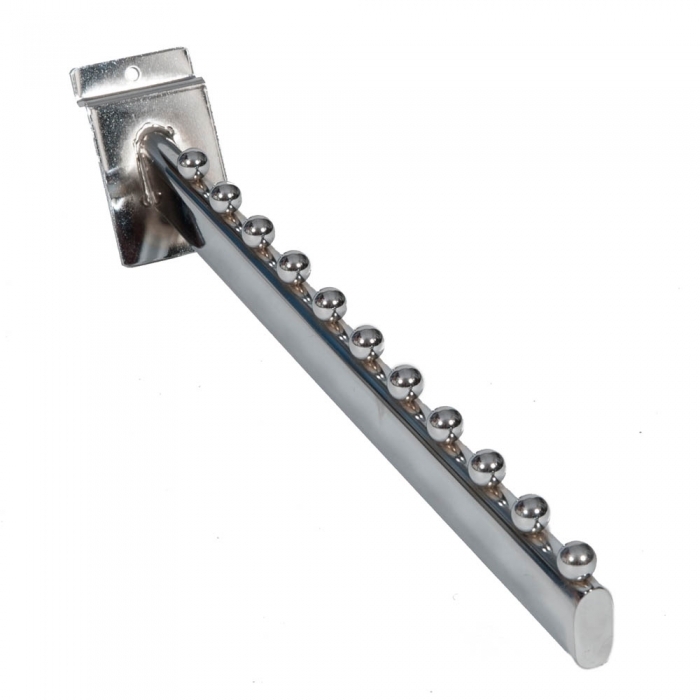 A range of chrome plated shop fittings designed for slatwall panels with a standard 100mm slot-in slatwall fitting. Slatwall panels only become a flexible system if you have the correct slatwall fittings for them. Whether you are looking for prong arms or feature arms to merchandise your display, we have an extensive range available in a choice of lengths for you as standard stock items.